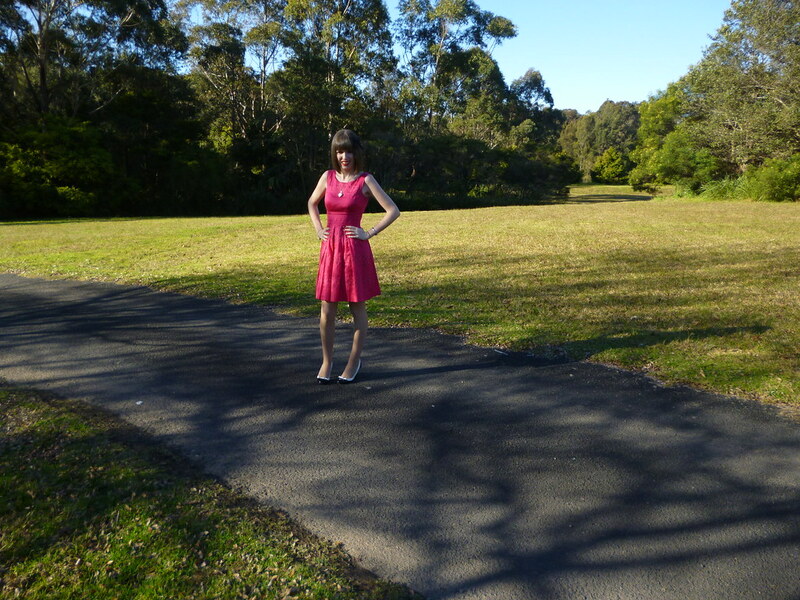 I love my pink dress! 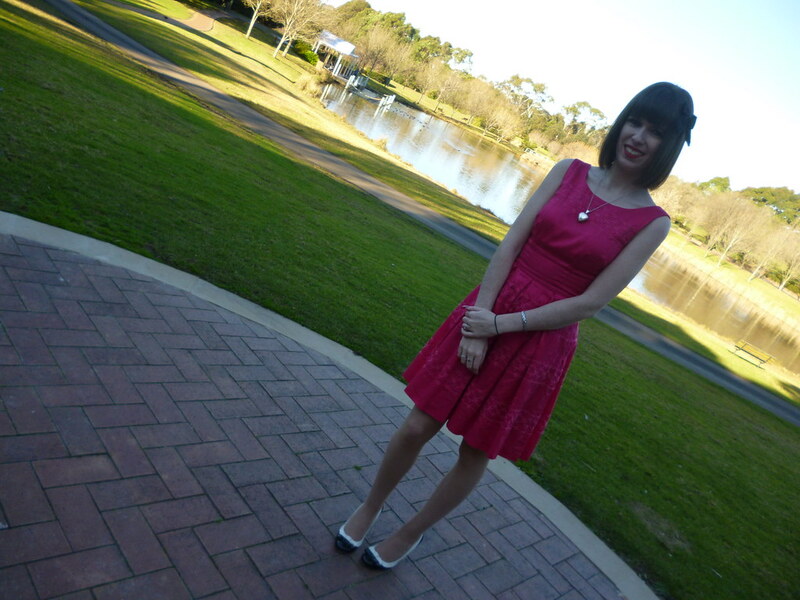 It is undoubtedly one of my favourite dresses I have ever owned. I believe it extremely accurately represents my style; the gorgeous pink colour, classic vintage cut, floral detailing and the overall girly-ness are the epitome of what I adore. 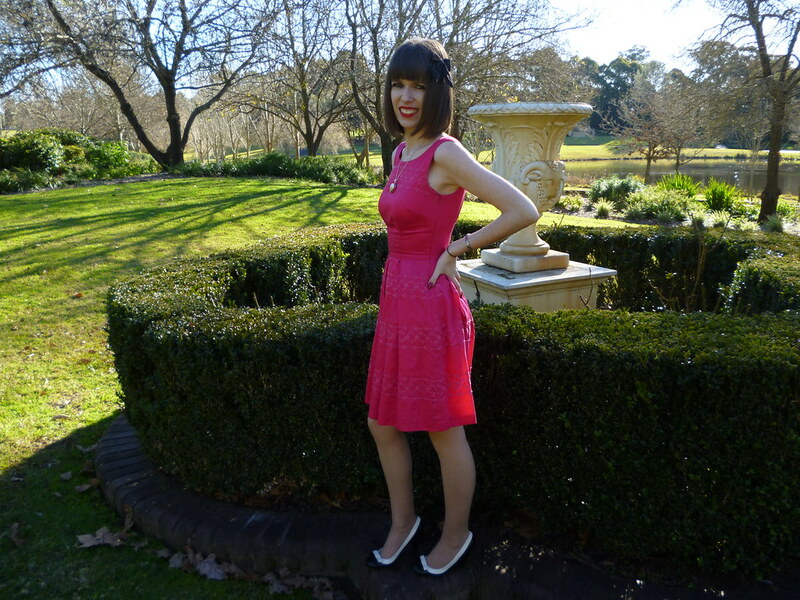 I truly believe there should be more hot pink clothes around especially dresses; pink is the most beautiful colour for a dress! I also wish there were more dresses with this shape and cut. This was one of the last items I purchased before imposing a spending ban. I also consider it one of the best bargains I’ve ever found. In my opinion, $50 for a quality Review dress is very reasonable especially since the original price was slightly over $250. This is only the third Review dress I’ve ever owned so I was very happy and excited when it became mine. On Wednesday we experienced some lovely warm weather for a few hours during the day. 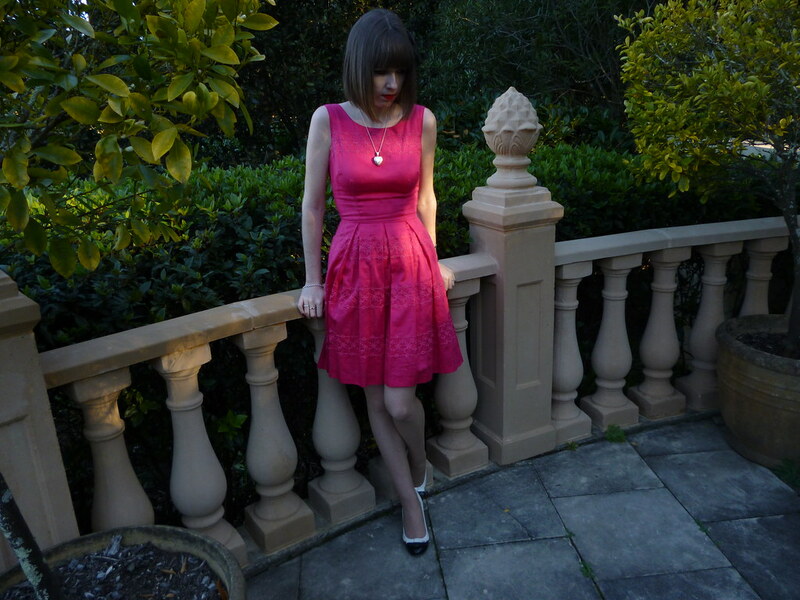 I thought it was the perfect opportunity to wear and blog my pink Review dress. I was certainly overdressed for the day but I never see that as a problem. I can’t wait until spring so I can wear my pretty dresses without the need for jackets or cardigans. I am so incredibly excited about the Olympics right now. I was supposed to watch the opening ceremony with my parents and my sister (& and Juliette Miracle, of course) at 6am on Saturday morning but I fell asleep! I hope my family at least enjoyed my presence in the room even though I can barely remember anything from the opening ceremony. I was very happy to hear that a few of my favourite tennis players such as Radwanska and Sharapova were chosen to carry the flags for their respective nations though. I am most excited for the swimming and tennis. I’m planning to watch every single race of the swimming even if that means crazier sleeping times than usual; I’m trying to stay up for the first day of finals starting at 4.30am this morning. I’ll be very tired by the end of the week but it’s so worth it. My interest in the swimming comes from my own background in competitive swimming; I miss those days very much. 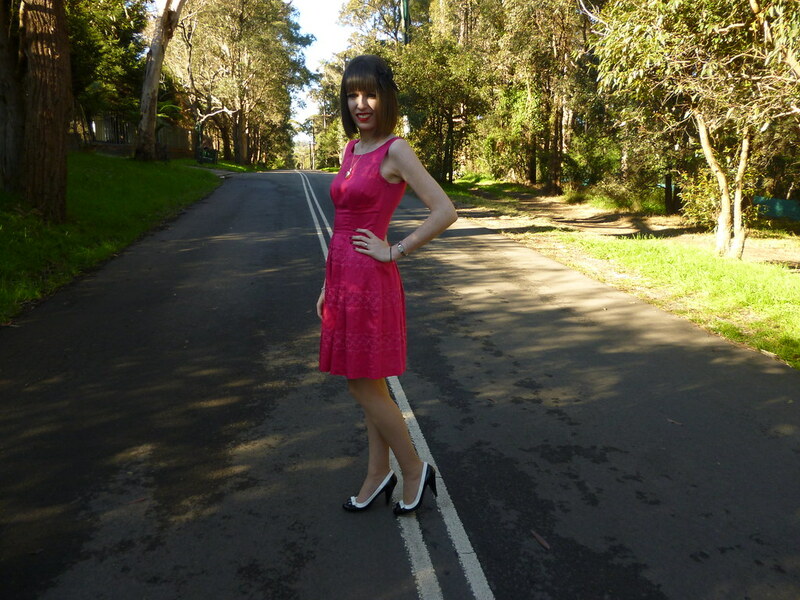 This entry was posted in Outfits, Review Australia, Wittner. Bookmark the permalink. awww.. this dress is stunning ! Your dress is beautiful and a $50 Review dress what a bargain!!! I like the handling of different concepts in this blog. Adorable dress, I love the pink color and the pleats. So pretty. Wow!! This dress looks STUNNING on you. the cut suits you down to a t. I must be the only person who isn't that fussed about the Olympics hey.. The pink dress is definitely really pretty. I love the fitting on it. That pink dress is gorgeous! And I love your shoes. Such a pretty pink dress. The cut, the material, the fit just all perfect on you. This dress is so adorable, I love the color!!! Your pink dress is so super cute! It's really flattering on you too. And the color is gorgeous! Those shoes are adorable as well. awww you look so sweet! adore the pink dress on you!! 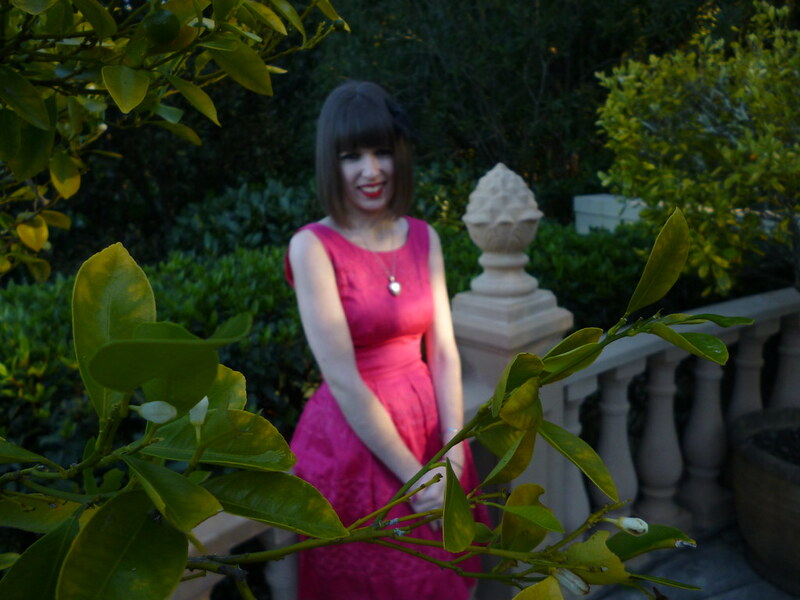 I love pink dresses. They are the best! You always look beautiful no matter what color you are wearing, though. great dress, i really love ur blog. thnks for the great comments. am so loving ur blog. am your new follower. That dress is stunning on you, so stunning. I've been watching so much Olympics – any that I can, Luckily I work from home so it has been on in the background all day. Great Britain, may not be the big winners, but I get so proud of every competitor its a great feeling. Plus anyone who wins looks so happy an I love that! This dressing is perfect on so many levels – the color, the cut, the fit on you, the material, perfection. I am glad you enjoy the Olympics. I wish I had a little more time as well. I'm watching the Olympics for the swimming, the tennis and the gymnastics. 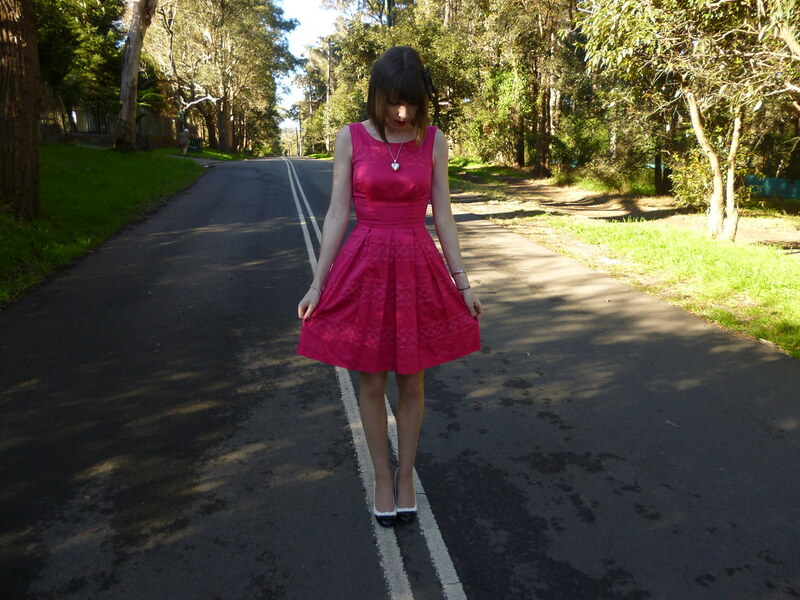 I would so steal this cute pink Review dress from you in a heartbeat. It's beautiful. Love your dress- so sweet! Oh, this dress is stunning! That is a beautiful dress, it really suits you and I love the detail on the skirt 🙂 Great bargain too! The dress looks very pretty on you. oh my GOODNESS this dress is to die for!! I'm going to check out their site asap. This vintage fit is precisely what I love too. It fits you perfectly! I just adore your style. This dress is gorgeous!Great fit!